So, here is one from Smith's book Exposed Spine Sewings. Oi. In the instructions, Smith should add something like, "Go ahead, try this one, I dare you." It was painful to make and when I first completed the sewing, I hated it. 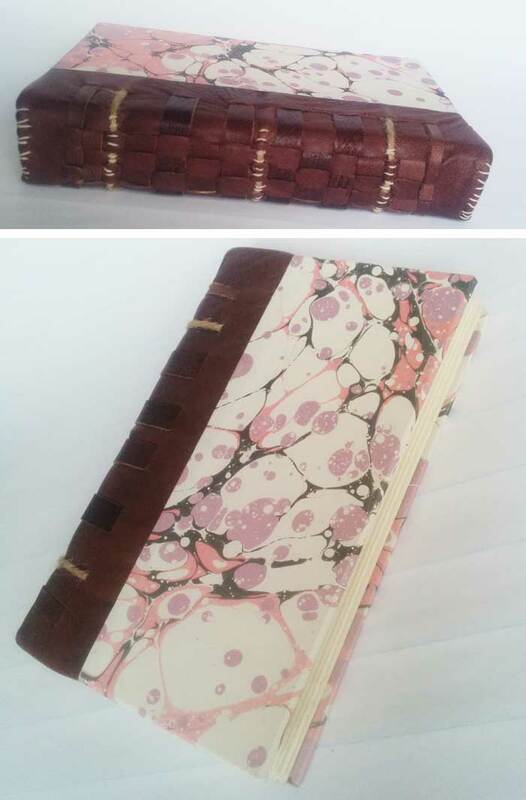 I decided that I would try to save it by adding all those strips of leather that are woven into the spine parallel to the sewing cords. After that, I didn't hate it as much.